Just picked my Jaguar XJ1 x351 up after the team repaired a rear wheel bearing for me. No more noise drives like new. Thank you to the team at Hardy. Fantastic service from Bill & the team. Dug me out of a hole whereby I could not find help over in France where I live. Spent months over here trying to get a dead differential resolved. Ended up contacting Bill following a referral from the local dealership. First Class! An honest, efficient and competent company - expert in their field and fair in pricing. A pleasure to deal with and would recommend to everyone. Just a quick thank you for a job well done. I am very pleased with work you did on my 1275 gearbox. It now back back in the car running well. I would have no hesitation in recommending your company. What a refreshing change to find an engineering shop that will work on older vehicles with genuine interest and great attention to detail. My old and rare VW LT 4x4 camper van came to you with a very badly worn rear axle and you have rebuilt it using impossible to find parts and is now like new. Not an easy job on a 4 ton truck, but we are very pleased with the results. 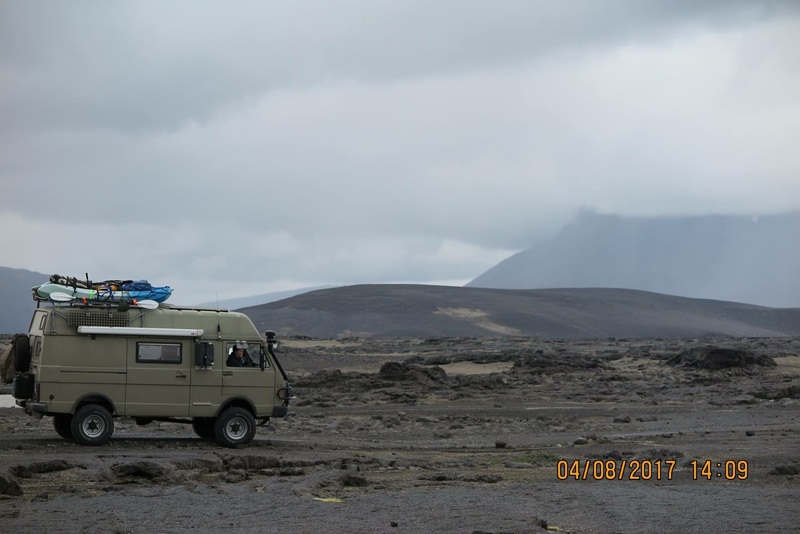 We have just returned from a 4,500 mile trip of a lifetime to Iceland where we have driven about 1000 miles off road in very technical terrain. I still cannot believe how you and your team were prepared to spend so much time sitting in and standing under the Westfield trying to fathom out where the persistent grating was coming. I was so impressed and most grateful - thank you. Driving back to the Island was uneventful. The car went like a dream. 70 to 80 mph brilliant. So much wind noise, I couldn't hear anything else! Thanks for sorting the clutch on our VW Passat CC. Quality work at a good price. Just a quick mail to tell you that the Aston Martin DB2 got a 3rd place on performance index and a class win at SPA Classic this weekend! Just arrived home, after having the overdrive problems sorted on my Stag. In the 5 years I've owned her the overdrive has never acted as smoothly as it did driving around the M25 today. Thanks once again to Bill and his team at Hardys for a job well done. Thank you very much for repairing my gearbox and overdrive of my 1964 Austin Healey 300 during my holidays in 2 days. Perfect job! Great service from everybody of the team. Thank you Michelle for driving us to our B&B. During the past fourteen years I have used Hardy Engineering three times for work on my 1964 Austin Healey 3000, first the gearbox, then the overdrive and more recently a complete rebuild of the Differential and back axle. On each occasion the work carried out was exemplary, at a very reasonable price and by a courteous and friendly team of people. I am very pleased with the work done on my automatic Subaru. The issues with the driveline that were causing me concern have now been resolved. The car is a lot smoother, and my confidence in it functioning correctly has improved. Thank you for the work done. Hi Bill, Just want to let you know what a great job you and the team did. You have transformed my Healey. I will feel a lot more confident when I take my trip to France and will not be worrying about how to drop down from 3rd to 2nd while taking a bend on a mountain road. All the best see you in the new year. Thank you very much for repairing my clutch so quickly. Great service and value for money. Easy to get my vehicle to you and so grateful for noticing the issue with my exhaust which you also fixed at the same time - so much better than I would have expected from my cars main dealer. Thanks again Bill and Michelle!